Green oasis close to the center of the town, beaches, University. DOUBLE STUDIO SUITE (bills included)... . Fully furnished double bed studio suite in excellent condition, on the top floor with cathedral ceilings and a large dormer window with expansive views and ocean glimpses. 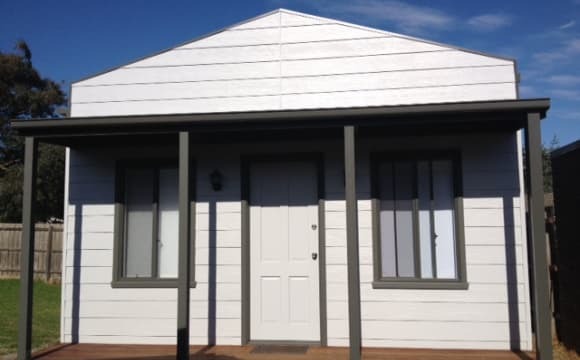 Includes double bed, wardrobe &amp; table . . Includes new private bathroom and mini kitchenette. . Includes all bills (eg electricity, water etc) . Suits a couple. . Zarita Private Hotel is a family run Boutique Hotel that provides excellent extended stay accommodation a 12 minute walk from Bondi Junction Train Station, Charing Cross Village and Bronte Beach. . A self cater Kitchen, Laundry and Lounge are also available, with bed linen and bills included in the tariff. . Contact Peter for further information and an appointment to inspect......... . Peter. 5Km to CBD. Next to shopping center. Amazing one studio available with double bed and with own bathroom and a shared balcony . Furnished, high quality . It is very private, clean,quiet and bright. Price $355-385/w is for 1 person over 6 month includes bill and wifi: electricity (from normal use), gas,water, furniture, appliance. Air-conditioned unit is available with extra charge. Studios available for lease over 6 month.For short term 1-3 month, pls ask for price and availability. Modern quality studio apartments in the heart of Leichhardt, on the corner of Parramatta &amp; Balmain Roads. Building has lift to 4 levels and 30 studio apartments ( all with own bath room). Most studios include bed, table, microwave, bar fridge and built-in . Two communal balconies and some studios with private or shared balcony. Facilities include onsite manager, spacious communal kitchen&amp; living area with gas cooking. Communal coin operated washing machines and clothes dryers. Extreme handy location. Next door to the Italian forum and Leichhardt Library. Moments to Norton Street's cafe's and restaurants. 2 minutes walk to Norton Plaza, Coles supermarket. 150 meters to public transport which goes to city every 4 minute. Parking on street with no charge or Garage parking is available with extra cost. PLEASE NOTE - No smoking in the building and all balconies. No pets allowed. Price is funished and bill included for 1 person for over 6 month or 2 person $420/w over 6 month Just come to the market and won't last long! Be quick to secure this lovely studio apartment before it is gone. Furnished and bill included !This studio apartment has queen bed and with own bathroom . Can accommodate 2 people. Studios available for lease over 6 month.For short term 1-3 month, pls ask for price and availability. Modern &amp; quality studio apartments in the heart of Leichhardt, on the corner of Parramatta &amp; Balmain Roads. Building has lift to 4 levels and about 30 studio apartments ( all with own bath room). Most studios include bed, table, chair, microwave, bar fridge and built-in . Two communal balconies and some studios with private or shared balcony. 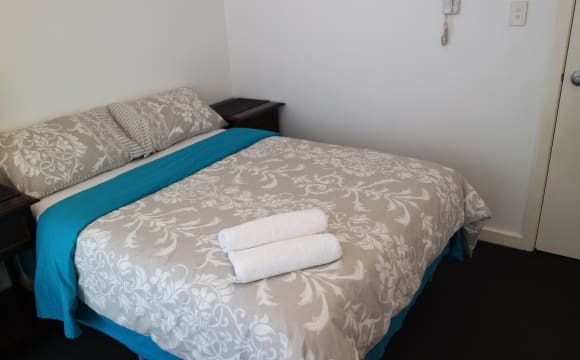 Facilities include onsite manager, spacious communal kitchen&amp; living area with gas cooking. . Wheel chair access provided.Communal coin operated washing machines and clothes dryers. Extreme handy location. Moments to the Italian forum and Norton Street's cafe's and restaurants. 2 minutes walk to Leichhardt Library and Coles supermarket. A few steps to public transport which goes to city every 4 minutes. PLEASE NOTE - No smoking in the building and all balconies. No pets allowed. Pls call to further enquiry. This studio has double bed and with own bathroom. It is a end unit and connect with a balcony. It is very private, clean, modern and bright.Suitable for 1 person. Price: 6 month,$355-385/week for 1 person over 6 month. Air-conditioned Unit from $390-420/w for 1 person over 6 month. 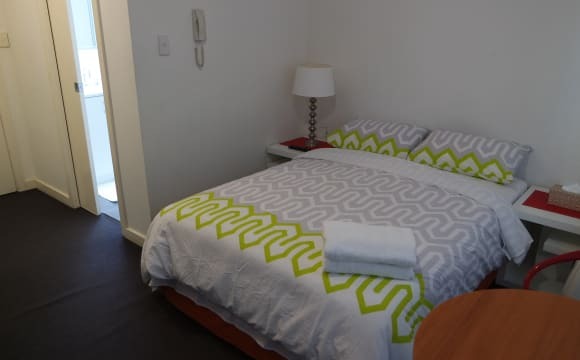 Price includes electricity (from normal use), gas,water, furniture, appliance and internet Modern &amp; quality studio apartments in the heart of Leichhardt, on the corner of Parramatta &amp; Balmain Roads. Building has lift to 4 levels and 30 studio apartments ( all with own bath room). Most studios include bed, table, microwave, bar fridge and built-in . Two communal balconies and some studios with private or shared balcony. Facilities include onsite manager, spacious communal kitchen&amp; living area with gas cooking. . Wheel chair access provided. Communal coin operated washing machines and clothes dryers. Extreme handy location. Moments to the Italian forum and Norton Street's cafe's and restaurants. 2 minutes walk to Norton Plaza, Leichhardt Library and Coles supermarket. A few steps to public transport which goes to city every 4 minutes. Studios available for short term and long term stay. Free Parking on street or Paking may be arranged at extra cost depending on availability. PLEASE NOTE - No smoking in the building and all balconies. No pets allowed. Prefer SMS or ring for inspection. Clean, fully furnished newly renovated studio apartment with ocean and river view. Studio consists of 1 queen bed, (including pillows, quilt and sheets) bathroom with washing machine and kitchenette. Suits 1 person or couple. The place is close to Surfers Paradise patrolled beach (50 meters), Cavill Mall, shops, restaurants and tram. 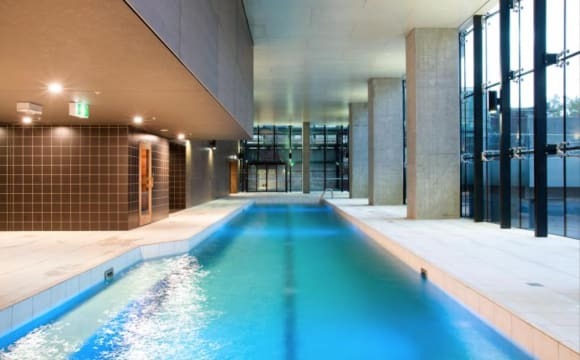 There is pool, spa and gym access in the building. International students or overseas visa holders welcome. Only clean and quiet people need to apply! Rent payable monthly in advance. Bond equivalent to 2 weeks rent. We have a private furnished studio + ensuite within the house with separate entrance. The room looks out to the garden and has r/c air con, 230 litre fridge, double bed with mattress, sofa, TV cabinet, bookcase, wardrobe, drawers, dining table and other occasional tables. Foxtel connection provided for you to sign up to your own account and unlimited internet. There is a kitchenette in our laundry at the end of the hallway, including microwave, cooktop, toaster, kettle, crockery, cutlery and cooking utensils. 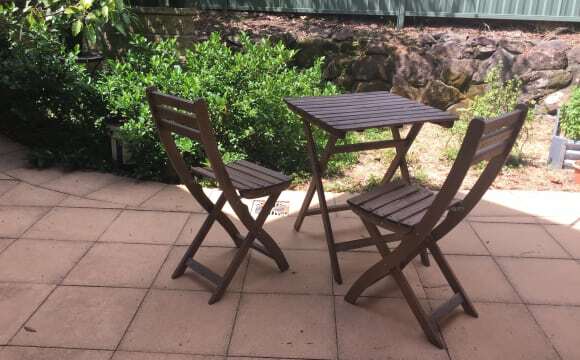 There is a small courtyard with cafe table and chairs for your use. Reasonable and responsible use of utilities and laundry facilities included. Plenty of parking in a quiet cul de sac. The bus at the corner can take you to the city, Chatswood and Warringah Mall and has connections for Macquarie uni and beaches. 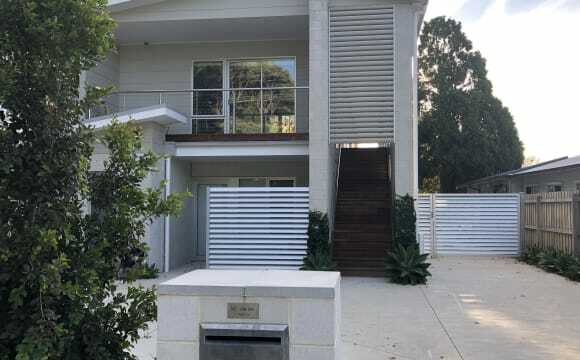 Frenchs Forest and Belrose are next door to Davidson, minutes from Glenrose Village shopping centre, Glen Street theatre, library and fitness centre. Warringah aquatic centre and Northern Beaches hospital are a 10 minute drive away. We are a family of four adults looking for an easy going, non-smoking, quiet, clean and tidy person. Students welcome. No pets or overnight guests. 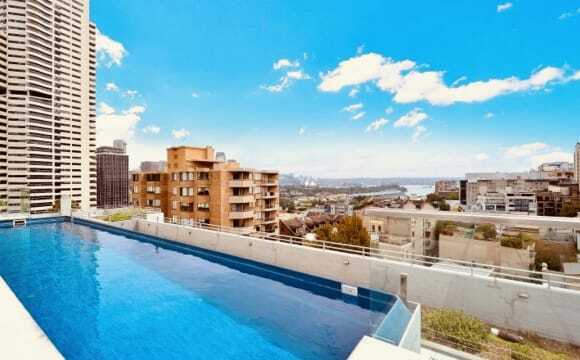 Excellent location, short Walk to bondi beach, cafes and restaurant and bus stop. Well maintained and quiet building. Furnished with a double bed, large built ins wardrobe, tv, kitchenette. Surrounded by a nice garden and a swimming pool. Sunlit studio apartment located on lower ground floor of my home. Private access through externally opening French doors onto own deck at front of property. Louvered windows, bifold doors and ceiling fans catch the breeze, keeping you cool on the hottest summer day. North facing aspect keeps apartment warm in winter. * Own bathroom, with bathtub. * Large walk-in wardrobe for clothing and extra storage. 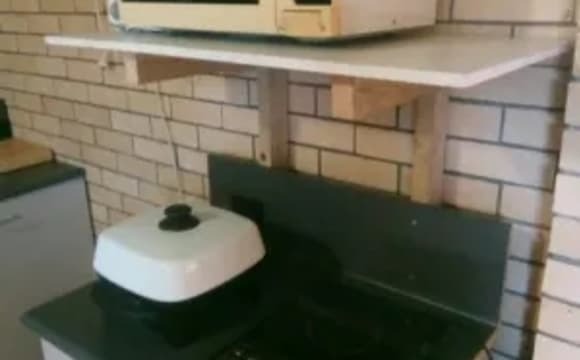 * New, modern kitchen with fan-forced oven and plentiful cupboard space. * Stunning polished Blackbutt timber floors, with Moroccan carpet for extra comfort. Relax on huge hardwood deck overlooking spectacular 180 degree views of Port Hacking and Maianbar Beach. Watch boats sail past or the changing shoreline as the sands shift. Listen to the birds in the surrounding native garden. 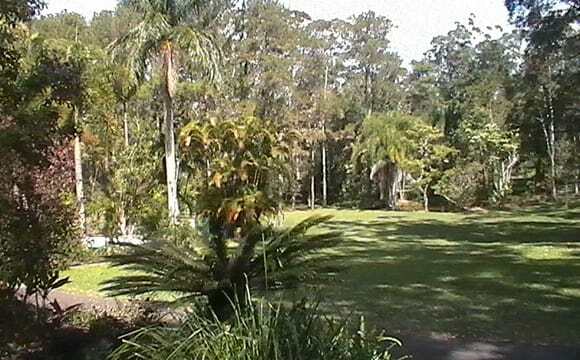 Situated in the magical, peaceful bushland of the Royal National Park. At rear of property there is access to a lap pool (when not swimming in the ocean a few metres away), hot spa, communal laundry, plus BBQ. Every day spent here is like being on holiday. This is a brand new custom designed space with a separate entrance through french doors modern furnishings &amp; natural charm. It forms part of a townhouse whereby my partner and our toddler live upstairs. Everything is at your finger tips (including keyless entry) with a fully self-contained kitchen with washing machine &amp; sleek private bathroom with a leafy fenced courtyard to chili out in. We very rarely use the courtyard so feel free to utilise it. Your pets are welcome too. This space is ideal for an individual with a furry friend. The studio has a reverse cycle air conditioning system, free wi-fi, electricity included. We can also provide a permit to park your car on the street. Spring Hill is super central to CBD, universities etc. 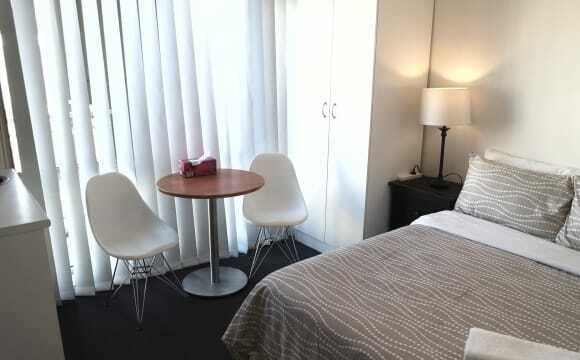 Studio apartment in 220 spencer st Melbourne for short term lease. 3-9 month. ( neg) fully furnished. one double bed + one sofa bed 3 month 480/wk bond is 6 weeks. not including utilities . unlimited 4G internet can be arranged for additional $100/mth . You need to connect your own utilities. ( for short term we can arrange utilities for you and bill you -$500 deposit required) maximum 2 people. free gym/ pool/ sauna 24 hours security available from 28/04 please text me to arrange time for inspection. Large airy studio apartment. Beautifully decorated, very close to main bus routes - 3 mins to city. Whitewashed floors and high ceilings makes for a lovely spacious feeling. Fab large modern bathroom with full bath. Situated on leafy, quiet cul de sac with park 10 meters from house. Includes washer dryer and great gas heater. Your own entrance and front porch is all yours to relax on. Great community, surrounding area has fab cafes and pubs etc. Everything you need! Anyone who's ever stayed has been very happy here. Prefer singles but will consider quiet couple with jobs.Must be trustworthy and quiet! Artist/Owner lives in house behind... easy going and happy type! Tenant must be courteous and tidy. Will go through everything with you when u get in touch:) No smoking no pets no parties! 2 weeks rent in advance plus 2 weeks bond. Could consider longer stay if appropriate. (No couples please). Perfectly positioned air-conditioned studio! Walk to beach, bars, restaurants, supermarkets. It's a fully carpeted (lino area in kitchen) brick studio in a back yard complete with a nice little kitchen, small fridge/freezer, cookers, all crockery and cutlery, and an awesome comfortable double bed. The bathroom and laundry are in the main house so you must walk across the yard and through the back door into the main house to use them (see bath pic). You will share them with the main house occupants. The studio is like a little house thats in the back yard that you have exclusive access. Just move in! 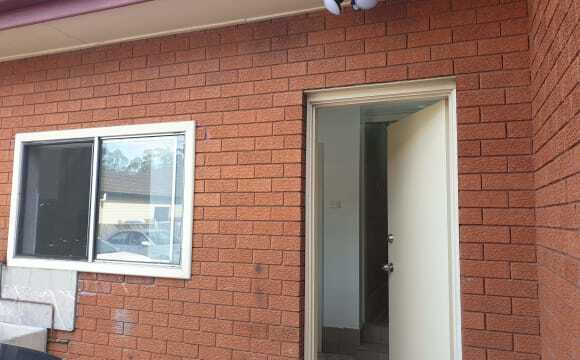 Studio apartment with its own private entrance Large walk-in cupboard Large En-suite with a washing machine The location is excellent with Rhodes Station only 250 meters away The Parramatta River Water front is only 500 meters away and Brays Bay Reserve only 400 meters away. Shopping Center and lots of Café restaurant within walking distance The air conditioned room is spacious. Fully furnished with all bills included in the rent.